Marc-André HENIN is an agronomist and a farmer in the family farm with his father, brother and sister. In their mixed-dairy livestock farming system, they turn milk (fat part) into butter. In 2009, the farm is converted in organic agriculture and the range of products is enlarged. 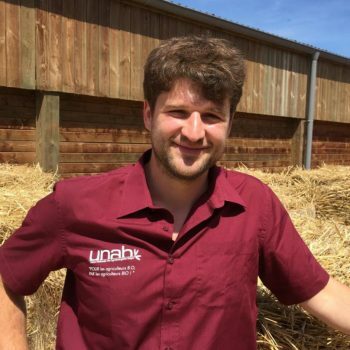 Marc-André is involved in the only federation of walloon organic farmers, « L’Union de Agriculteurs Biologique Belge » (UNAB). He stays implied in local action like welcome children and students in farm, transition movement, etc. He is member of an exchange program between North and South farmers with « vétérinaires sans frontière » (VSF). He visited Rwanda and met farmers and representatives from many countries.